The Tooth & Nail Winery castle is where you’ll find the Rabble Wine Company tasting room and event venue. We add variety to the Paso Robles winery neighborhood both in wines and ambiance. Our French Chateau meets industrial tasting room is based in history but modern, much like our labels and our wines. We embrace the fun space that it is, while keeping wine quality at the core of everything we do. From the approachable yet intense Rabble varietals and Tooth & Nail blends to the small lot, barrel selected Stasis and Amor Fati wines, we have a wine for every taste and experience level. 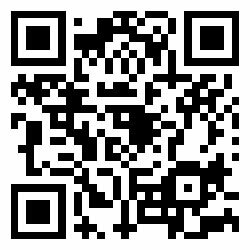 Rabble Wine - These are single varietal wines, uncorrupted and pure. These wines embrace characteristics of the grape (Tempranillo that tastes like Tempranillo), the place (wind and frosts of Santa Maria; extreme diurnal shifts of Paso Robles) and the mindset (how sad to think that nature speaks and mankind doesn’t listen). Labels are renditions of historical wood block prints, textured and tactile, depicting nature’s wrath. Nature is ruthless when it goes ignored. 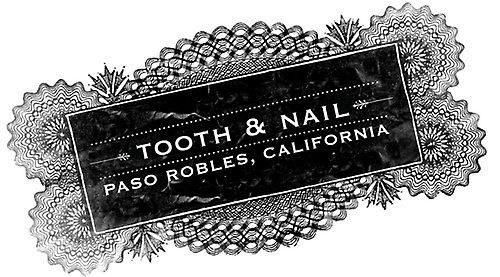 Tooth & Nail - These are our blended wines; bold, unconventional and unapologetic. Tooth & Nail red blends coat the glass with squid ink-ish, racy acidity, thick rich texture, and pulsing fruit. Our white blends are lush, resinous, balanced and clean, leaving you empowered and smacking your lips. Our labels are John James Audubon originals; beasts of the early 1830s fighting “Tooth & Nail” to survive. Statis - Flavorful wines grown in Santa Maria’s late morning fog, continually cool days and chilling afternoon winds. Large in texture, velvet with fruit, minerality and complexity balanced in both weight and acidity. The label is an original engraving by John Boydell, in 1786, depicting Romeo joining Juliet in eternity. Amor Fati - Culty, illusive and beguiling, with extended hang time in the vineyard, these wines explode from the glass. Aggressive and engulfing, yet showcasing restrained balance on the palate; tannins are lush, round, unprecedented. Amor Fati translates in Latin to “the love of one’s fate.” In Santa Maria, harvest dates often push into late November and grape ripening is solely at the discretion of nature. Each year we wait and have faith. Labels are sketch renditions of William Blake’s 1793 work “The Marriage Of Heaven and Hell.” Look deep into the symmetrical label to find a naked woman embracing the hand of a mermaid and a small child, all while riding a pink dragon. Drink more to see more.